Real Butterfly Wing Necklace comes in different variations. Hit Check Box below to select the charm. 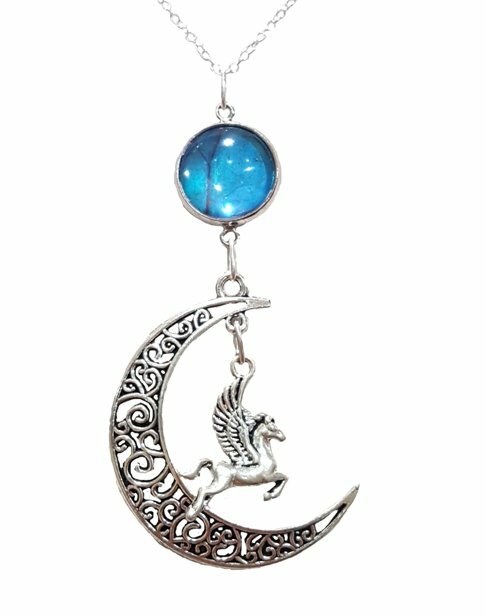 This is our second best selling moon necklace. 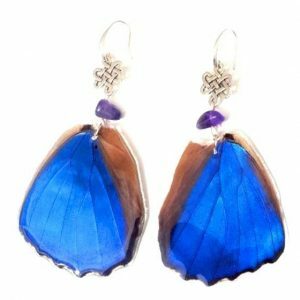 This Real Butterfly Wing Jewelry is made from (Blue Morpho) Butterfly Wing in Glass Tile. Every Butterfly Wing Jewelry we sell helps us save rain forests as well as protecting the habitats of butterflies in the wild. Purchases help and protect the wild life so that we can help butterfly populations increase. Wing is carefully preserved in glass tile. allowing you to touch and see the blue morpho wing up close to ensure long lasting durability so that you can touch it without worrying about injuring wing. This is the perfect Mother Daughter or BFF gift. Crescent Moon is Tibetan Sterling Silver. Stop spending time searching for the Mother-Daughter Gift. You have found it. You won't find anything else as unique or beautiful. Butterflies died naturally, after living a full life. Purchases help preserve rain-forest and butterfly populations.